What Is Homes For Heroes®? Homes for Heroes® is a company that affiliates with real estate professionals to offer substantial rebates and discounts to the Heroes who serve our nation and its communities every day. 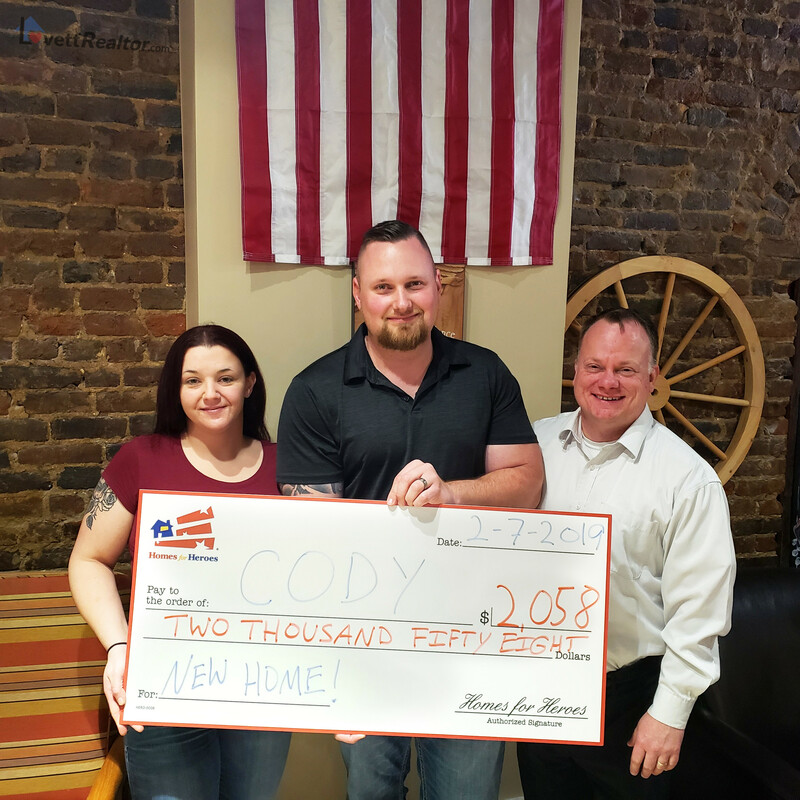 When heroes work with Homes for Heroes affiliate specialists and local businesses, they receive Hero Rewards which are easy ways for our heroes to save significant money when buying, selling, or refinancing a home; or when making every day home-related purchases. I am honored to be a registered Homes for Heroes specialist. You must be enrolled with Homes for Heroes and be represented at closing by a Homes for Heroes real estate affiliate to be eligible for Hero Rewards. Get started today at MidTNheroes.com! I was an educator. My wife is in healthcare. My dad was a veteran. Firefighters saved my childhoood home. Law Enforcement Officers look out for us every day. Every one of these groups gives more than many ever know, sometimes giving everything. How could I NOT give back? Hero Rewards offers are limited and/or restricted in Alaska, Kansas, Louisiana, and Mississippi. You must be enrolled with Homes for Heroes and be represented at closing by a Homes for Heroes real estate affiliate to be eligible for Hero Rewards. Contact Homes for Heroes for further details. Homes for Heroes® Inc. is a licensed real estate company in the state of Minnesota | ©2016 Homes for Heroes, All Rights Reserved. Homes for Heroes is a registered trademark. Any reproduction or redistribution in whole or in part without written permission is expressly prohibited by law. This website contains properties listed by every participating brokerage on the Middle Tennessee MLS (Realtracs). Some of the properties listed for sale or rent on this website are the listings of those other brokerages. Weichert Realtors® and the Weichert Realtors® Logo are registered service marks owned by Weichert Realtors®. Aaron C. Lovett and Weichert Realtors® fully support the principles of the Fair Housing Act and the Equal Opportunity Act. Each office is independently owned and operated. Views and opinions expressed here do not necessarily represent the views and opinions of Weichert Realtors®. All information provided by the listing agent/broker is deemed reliable but is not guaranteed and should be independently verified. Information being provided is for consumers' personal, non-commercial use and may not be used for any purpose other than to identify prospective properties consumers may be interested in purchasing.